Please select an option Navy Red Beige Please select a color. 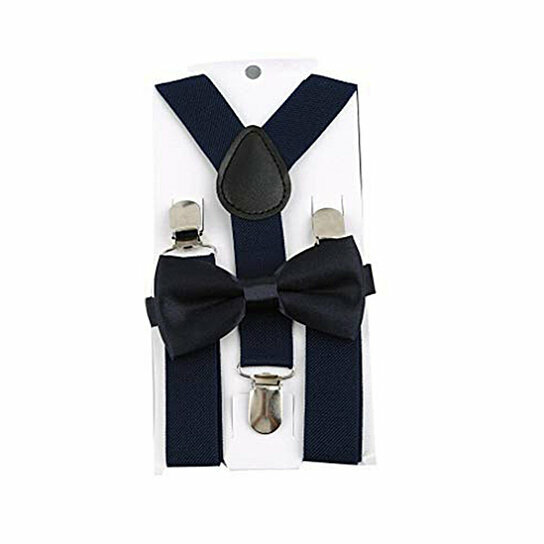 Match bow tie and sling set for kids, toddlers and babies. Material: polyester + elastic fiber. Available in a variety of colors. Just choose the color you want and you will be happy with your child's cute appearance. Size: (approx.) 65 cm long and 2.5 cm wide (elastic). Great for boys and girls. Keep the style of the pants! Fully adjustable elastic strap with highly polished chrome-plated tabs. Recommended height: 80cm-130cm. Durable adjustable shoulder strap. Grow with your baby and blend in with your child. This sling and bow set is the perfect gift for any occasion. Suitable for weddings, costumes and special events!